Kids trudging through your home after school leaving more than books and sporting equipment in their wake? Tracked-in stains can create a carpet cleaning nightmare. More than just unsightly, all that mud, sand, and grass tracked in by your children can create a microorganism minefield, housing more germs than your toilet seat and adversely affecting the health of your family. How can you keep your carpet clean throughout the school year? They’re often the main culprit to all that tracked-in mess. Control dirt in doorways and other high traffic areas with machine washable rugs that can be cared for and replaced more easily than carpeting. One of the most important steps of carpet cleaning, vacuuming once or twice per week helps control dust and allergens. Try to keep up with tracked in stains. It will prevent them from being further driven into your carpet. Rubbing drives the stain deeper, and can possibly damage your carpet. Blot instead. Work from the outside in. If you start from the center, you could spread the stain more. Hot water can change the structure of the offending material, possibly bonding it with the surface of your carpet. Harsh cleaning solutions may damage your carpet. If gentler alternatives fail to remove tracked in stains, contact the experts at Rainbow International for professional help restoring your carpet. First, let the mud dry. Follow up with a slow, thorough vacuuming. Mixing one teaspoon dish detergent with a cup of water, clean and blot the stain as directed above using a damp cloth or sponge. Continue, employing a new towel/sponge until the stain is removed. Let clay dry, then brush with a hard bristle brush, picking up large chunks to protect your vacuum. Thoroughly vacuum. Mixing a solution of one part vinegar to two parts water. Blot the stain heavily with an absorbent cloth/sponge until clean. Do not rub. To remove sand, you’ll need a strong vacuum, with settings adjusted as low as possible. You can also use the nozzle attachment to get the close care you need, just be prepared to keep your patience in check when dealing with larger areas. Mix one teaspoon laundry detergent with a cup of water. Blot from the outside in. Avoid rubbing the stain. Continue until thoroughly removed. Remove any remaining feces with a moist towel using a pinching motion. Mix one teaspoon laundry detergent and one teaspoon vinegar with a cup of water, blotting the stain until removed. Schedule professional cleaning once a year. Only professional cleaning by a trained specialist can completely remove entrenched allergens, pet dander, dust mites, mildew, bacteria, and other things hiding in your carpet, releasing them from the fibers and bottom layers of your carpet to remove them for good. Annual professional cleaning can also reduce the unseen pests, prevent allergies and illness, and remove or prevent undesirable odors. Carpet cleaning effort still not getting to the bottom of those tracked-in stains? 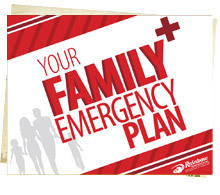 Protect your family’s health – and your sanity. Contact Rainbow International® today for a professional carpet cleaning.